While the world’s best footballers showcase their skills at the 2022 FIFA World Cup in Qatar, an electric motor control manufacturer will kick up the A.C. to relieve their perspiration. 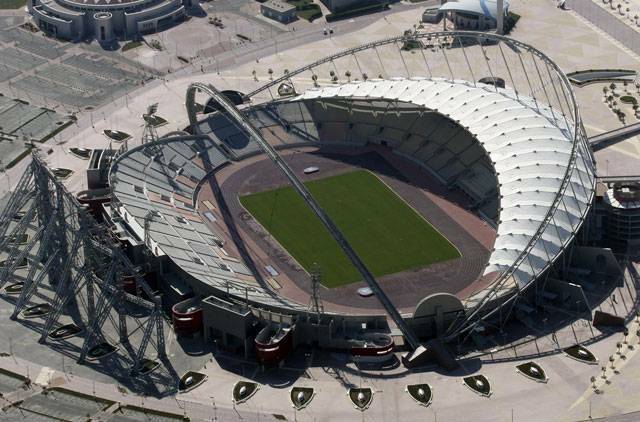 Khalifa International Stadium in Doha, Qatar, currently under renovations for the 2022 FIFA World Cup. AuCom CEO Brent Archer told Tim Fulton of stuff.co.nz that its Khalifa Stadium contract was worth almost $3 million, comparable to a job it did in Turkey supplying MV motor controls that pumped water 300 kilometers to the water-starved city of Ankara. The company hopes to double revenue by 2019 and hire more staff, according to Archer. It currently has 136 employees in Christchurch, New Zealand and offices in Germany, Shanghai, and Dubai in addition to the United States location. AuCom specializes in “soft-start” motor controls that reduce mechanical system wear and motor inrush and electricity demand. It will use recently introduced Smart Card technology to link components to computer sensing systems. These will drive large chiller motors that require hundreds of thousands of kilowatts of power. AuCom isn’t the only New Zealand-based company locked in for the Cup. Two other Christchurch firms, Chris Glasson Landscape Architects and Thom Craig Architects, are landscaping outside the venues. AuCom is shipping its first Smart Card to India, Chile and Taiwan after launching it at the Hannover Messe trade fair in Germany last month.